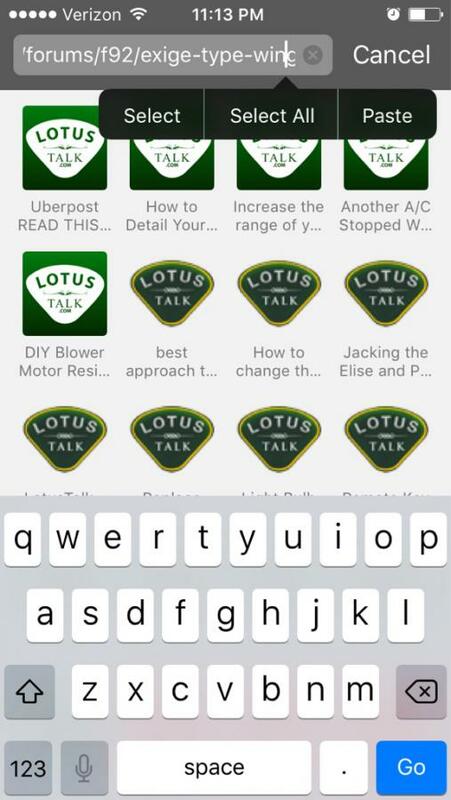 I have noticed now when I google an older thread via safari on my phone, it shows the thread in Google but if you select it, it will take you to a standard Lotustalk home screen. 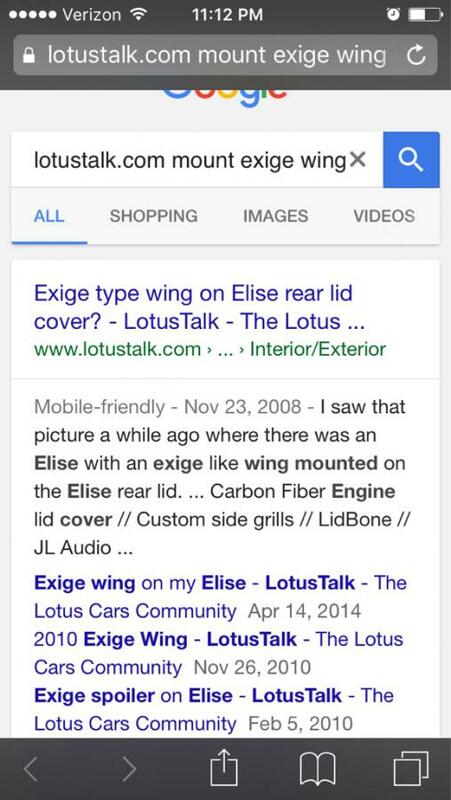 We all know the search option on LT is useless for old threads, so this is disconcerting. I even checked the url, and it still shows the thread I linked to. So how am I supposed to find/view old threads? Anyone else encountering this? Has only happened the last few weeks. I've tried reloading, etc and even copypasta into another tab, but to no avail. Thread moved to "Feedback and Site Issues" forum so that Admin will see it. On my iPhone 5 , I must select exit enhanced mobile mode. Then go back and do it again. Sometimes 3 times. I've tried this and it never loads properly. I give up after 5+ times. I don't like the "new" autoguide app as well as the opld one. On the old app, I went right to unread posts, now the thing starts at the beginning every time. 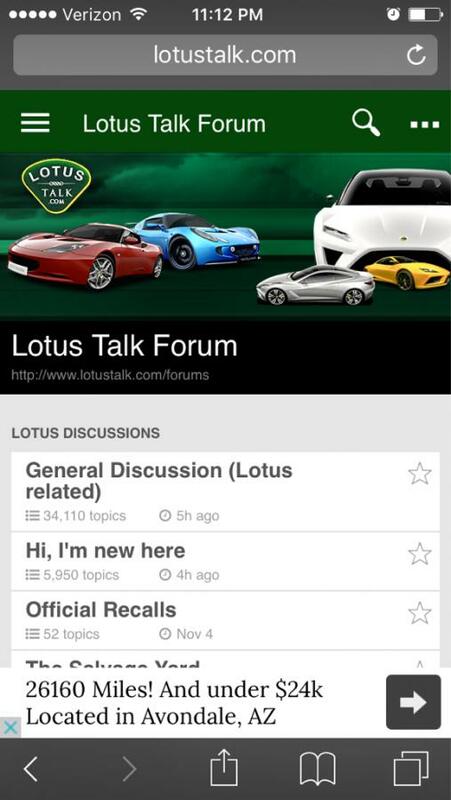 Very annoying for multi-posts like the "what did you do for your Lotus XXXX today" topics. Hopefully someone is reading this and changes are being made. It just means I cannot read old posts unless I can find them in the app. Which is... Difficult. The directing to the home page issue is something we are trying to correct, my apologies for that. If you are having issue withe the app, I would suggest that you uninstall and then reinstall the app to see if that fixes any glitches.